How are Economists Portrayed by the Media? Let’s Ask Them. 3 Comments on How are Economists Portrayed by the Media? Let’s Ask Them. Economists have received more attention from the media in the past decade than ever before. Finally, economics is accessible to the public. However, this newfound relevance has brought economists some negative attention; there is a litany of recent hit pieces targeting the profession as a whole. This article enlists economists Tyler Cowen, Scott Sumner and Alex Tabarrok, who give their thoughts on these new developments. Modern political discourse is undoubtedly as polarized as it has ever been. The increased attachment of cultural attitudes to political positions has augmented people’s desires to definitively “shut down” their intellectual opponents. Citing experts is one very popular way of doing so, and economists have recently been thrust into the limelight because of the political implications of their work. I usually answer no to both questions. My job as a student of economics is simply to make sense of how people make decisions when faced with certain alternatives; that is the goal of economics in a nutshell, and there are countless different kinds of economists who apply this goal in more specific ways. Not all economists work with stocks, and not all economists agree with your political opinions (or anyone else’s). The purpose of this article is therefore to illustrate the caricature of economists created by the media, and to set the record straight with the help of three leading members of the field. Ultimately, I hope to show that economists are normal human beings, for better or for worse. “Economists have completely failed us. They’re no better than Mystic Meg.” This is the title of a 2017 Guardian article by Simon Jenkins claiming that the entire study of economics “neglects human behavior” and is “plagued by the spurious exactness of mathematics.” These are tired stereotypes, and you’ve probably heard them before—they make good talking points and complement the idea that economists are cold-blooded financial-sector stooges who are irrelevant in the real world. Jenkins’s article is a response to a small group of Bank of England economists wrongly predicting an economic downturn following the Brexit referendum. However, the article’s title is strikingly broad, and most of it refers to the field as a whole. Jenkins’s coworkers at the Guardian are similarly prone to using such sweeping generalizations, if for entirely different purposes. Recent Guardian headlines include “Bank economist calls for counselling for primary school pupils,” “More than 1,000 economists warn Trump his trade views echo 1930s errors,” and many more. If anything, the conflict between articles slamming the economics profession and those glamorizing it should remind us to separate individuals from their employers and professions, but it won’t be easy. Countless buzzword-riddled phrases have bled into the public from all kinds of media outlets intent on hijacking the credibility of modern academics for the sake of strengthening a narrative. So, we must start with the all-important question: why are they wrong? What are Economists Really Like? There are many economists in the world, but they don’t all have the same opinions on any subject. Economics is a science which is conducted in many ways, within many subfields. However, the tendency of some economists to endorse certain political views is enough for journalists to represent their personal opinions as academic orthodoxy, no matter what those opinions are. If they find it difficult to do so, they may, like Simon Jenkins, attempt to discredit the profession entirely. Both approaches unfairly give the impression that economists form a singular ideological community, which undermines the variety of ideological and professional communities within the field. These communities (particularly schools of thought like Keynesians, Monetarists, and others) all contribute something to the field, but none define it. 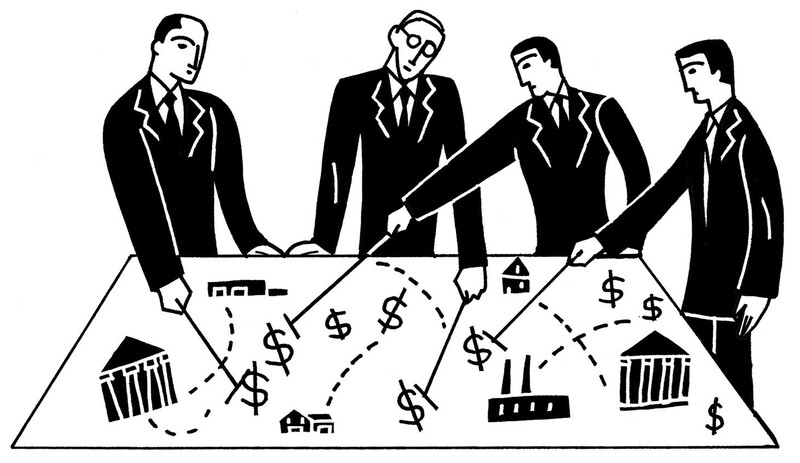 Furthermore, the large communities that do exist within the economics profession are nothing like the rigid, dogmatic caricatures created by the media. For instance, the world’s most popular economics blog, MarginalRevolution.com, consists almost entirely of references to other economists’ work, which in turn often refutes or expands upon other work. Most popular economics writers do this, and the prevalence of blogging within the profession has created a large, interconnected network of intellectuals accessible to the public. This community has an air of curiosity and open-mindedness far beyond what most journalists give them credit for. It is the best of times. It is the worst of times. It is not uncommon, for example, to see critiques of economics in the media which are about as sophisticated as saying “look at those silly physicists who think that a bowling ball and a feather fall at the same rate.” Even people who should know better like David Suzuki say ridiculously, obtuse things when it comes to economics–perhaps for ideological reasons. At the same time, the quality of the coverage of economics in the media is often excellent and has never been better. Greg Ip, David Leonhardt, Catherine Rampell, Adam Davidson, Stacey Vanek Smith, Cardiff Garcia, Megan McCardle all do superb economic commentary and reporting not just about the economy about economics. And those are only the people off the top of my head, I could name many more. The public also has access to top economists through the blogs and social media. I would count Paul Krugman, Tyler Cowen, John Cochrane, and Jeniffer Doleac in this category. While some people claim that economics is out of touch or obsolete, economics passes the market test. Economists have never been more in demand. Designing new types of markets is a big part of the internet economy and computer scientists, followed by economists, are the leaders in this field. Google and Facebook run billions of dollars of auctions using what was once an obscure economic theory (Vickey-Clarke-Groves auctions). Google, Facebook, Uber and Airbnb all hire economists to better understand data and design new economic mechanisms. Even some online games like Eve Online are hiring economists to help to run virtual economies–one such economist, Yanis Varoufakis, went from a virtual economy to a real economy when he became Greece’s Minster of Finance. If you want to understand the world and make it a better place there is no better degree than an economics degree because it is so versatile. Reporters tend to see economists as being too narrow in their perspective, not understanding the complexity of human behavior, culture, politics, etc. There is a bit of truth to this, although often not in the way assumed by reporters. Thus the problem is not too much reliance on rational expectations and efficient markets models (which actually are useful), nor is the problem not enough focus on “behavioral economics”. I’m not sure if my work is motivated by stereotypes, as I don’t set out to boost the prestige of economics. But I often take contrarian views, where I think economists have too shallow an understanding of a particular issue, such as monetary policy. Like Tyler Cowen, I believe that complex issues must be considered from many different perspectives, and that many economists focus too much on the implications of a single (unrealistic) model. But my motivation is just to do good economics as I see it—if my methods are an implied rebuke to the dominant approach in the profession, then so be it. Cowen, Tabarrok and Sumner seem optimistic about their field of study and even about the public’s perception of it, flawed as that perception may sometimes be. They’re enthusiastic about the development of economic methodology and its growing relevance. As writers and professors, they stoke that enthusiasm in upcoming generations of economic thinkers, myself included. Economists are human beings, and human beings have opinions. Economists’ opinions may be informed by their professional study, but other economists will always have a good counterargument for them. As is the case with most fields outside the natural sciences, there is no objective—or even overwhelming—consensus among economists about anything. If there was, you can be sure that the media would reference this pseudo-community much more fervently than it already does. In the meantime, most economists’ research is publicly available, and many also write blogs. Judging the merits of their work on an individual basis is something we’re all capable of—that is, if we’re serious about what it means.